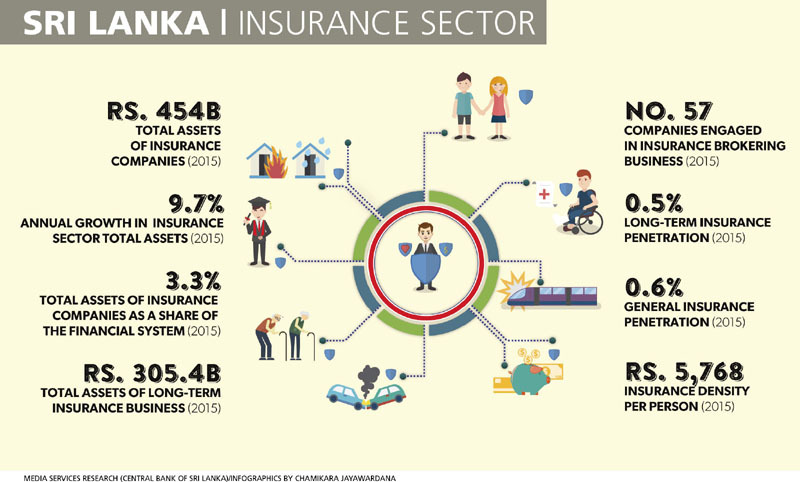 “Following two solid years of growth, Sri Lanka’s insurance sector is positioned strongly,” maintains the Chief Executive Officer of Union Assurance Dirk Pereira. And the industry veteran believes that once per capita income reaches the tipping point of US$ 5,000, it will drive an upsurge in the insurance sector. 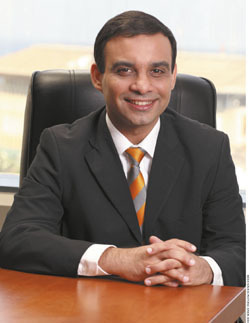 He continues: “The rise in per capita incomes coupled with increasing awareness of the value and benefits of insurance is also driving sales.” Pereira cites the prevailing political stability and increased confidence in the Central Bank of Sri Lanka as factors that have boosted sector players. “The macroeconomic environment is positive for growth with major economic fundamentals coming into play. 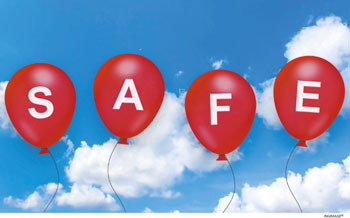 Life insurance in particular has experienced good growth momentum, reporting a 19 percent penetration in the third quarter of last year. Total assets of the insurance sector stand at Rs. 465 billion,” he notes. MARKET DYNAMICS No doubt, the insurance sector has seen some rationalisation with the influx of foreign players, not to mention consolidation. The presence of multinationals in the fray bodes well for the sector as it holds the promise of ushering in greater adoption of global best practices that will percolate to all levels. Moreover, a rise in disposable incomes has led to growth in life insurance while general insurance – of which motor insurance forms the main component – has witnessed a dip due to the drop in vehicle imports as a result of higher duties and taxes. “This will be a challenging time for the general insurance sector as it must diversify from motor to other insurance avenues. But there are several opportunities to grow the non-motor book of business,” Pereira asserts. GREYING SRI LANKA Meanwhile, apart from exercising favourable growth, life insurance also has to face the challenge of an ageing population, and factor in this reality to future strategies and formulations of solutions to cater to this unavoidable reality. One-in-eight Sri Lankans is 60 years and above; and it is projected that by 2041, one in every four Sri Lankans will be a senior citizen. Moreover, as the economy develops, the demand for higher-quality healthcare will also increase. Insurance Board of Sri Lanka (IBSL) figures indicate that only 30 percent of the country’s working population possesses life insurance, which leaves the rest of the market wide open for sector players. POLICY ADAPTATION Overall, the last five years have been quite gruelling for the sector with several high-impact policy changes announced by the regulator. The segregation of life and general insurance operations, and the introduction of risk-based capital, have compelled companies to overhaul their operations. This has meant a shift from the simpler rules-based capital model to a more sophisticated risk-based capital model in line with international trends. Of the 12 composite insurance companies, nine have separated their life and general insurance businesses (into two companies), demonstrating a higher level of transparency and governance. A parallel run that commenced in 2014 and continued until the end of 2015 offered insurers a better understanding of what is required under the new rules, and helped identify and iron out many of the issues that would naturally arise when a company shifts from one particular solvency regime to another. PRICE CONSTRAINTS However, the price-competitive environment persists, and Pereira believes that it will be some time before the insurance sector matures where service and products rather than price are key differentiators. “We need to push boundaries as much as possible, and work out solutions that offer comprehensive insurance cover and value for money for customers,” he urges. In line with IBSL’s objective to promote microinsurance in Sri Lanka, the 12th International Microinsurance Conference was held in Colombo recently. TECH DISRUPTIONS Looking to the future, Pereira acknowledges that technology will impact insurance distribution and drive the need to change business models to leverage on digital trends. “There are insurance firms working in collaboration with telecom companies to offer solutions in this space currently, and I suppose we will see much more of that in the future,” he says, confessing that it is intimidating to realise that the old traditional models will not suffice and insurance entities need to adapt rapidly to technology’s disruptive influence. The sector has always had strong regulations; and recently, IBSL strengthened customer feedback processes to ensure that companies follow up. In terms of human capital, a lack of actuarial talent continues to undermine the sector. But Pereira believes that this will change as higher pay scales and a more vibrant sector are attracting a greater number of youth to enter it. The Sri Lanka Insurance Institute is partnering chartered institutes in India and the UK to offer local students an opportunity to acquire higher qualifications. And Pereira is hopeful that this will lead to a growing pipeline of talent. A DEFINING ROLE On Pereira’s wish list is for insurance companies to come together and collaborate to develop customer value additions that will develop the sector as a whole. But he feels that such a collaborative understanding will take time to come about. In his opinion, the insurance sector is gaining greater prominence; and the recent cabinet decision to designate September as ‘Life Insurance Awareness Month’ will help firms to leverage on this, and underscore the importance of life and general insurance across the country. As Sri Lanka moves forward to become more than a middle-income nation, the insurance sector has a great opportunity to play a defining role in the economy of tomorrow.